Catch a Country Bus to Happiness was the Corporation’s Logo. When Guy motor buses such as this, filled Queen Square at their respective stops.just before the war. I have removed the destination sign of this one No.5 pictured outside the bus depot on Cleveland Street. Any idea were it was destined for. 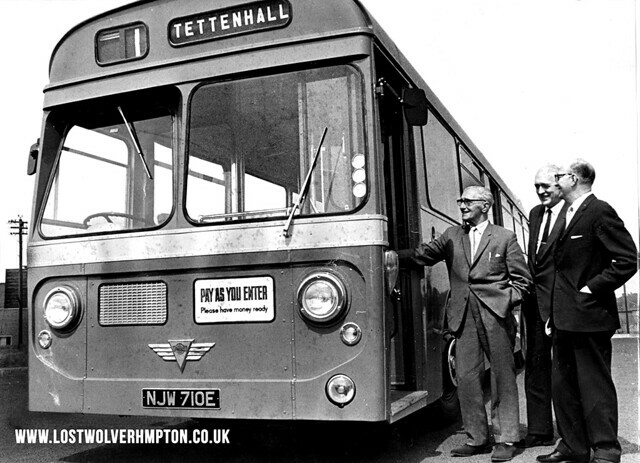 The bus wasn’t going anywhere, it was a publicity shot taken outside Cleveland Road Depot. 182 was a Guy FC with a 35-seater Guy built body. These buses were envisaged for use on longer country runs, such as the [No17] Wolverhampton-Bridgnorth service, hence the roof mounted luggage rack. The vehicle had a relatively short life with WCT, first being licenced for service on 17/6/1929, but was delicensed and withdrawn from traffic on 28/2/1938. The bus was sold to G C Cooke, a London based vehicle dealer on 6/3/1938. No further information is known about its subsequent use. Re the side destination, Wheaton Aston was displayed for this picture, but the Wheaton Aston (via Brewood & Lapley) service was actually the 22 service. 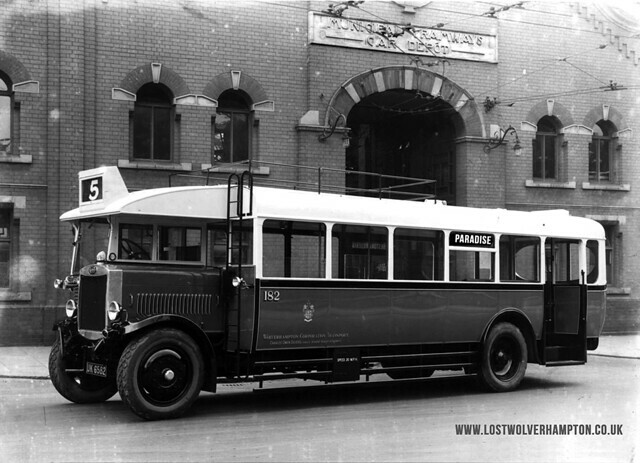 The No5 was the Willenhall service, a short working of the Walsall 5B route. After the war, some of the Corporation’s service numbers changed, but the 22 and 5 remained unaltered. Your spot on Claire as usual.The destination side was indeed Wheaton Aston. The extra above information is most appreciated, as I am sure other members will agree. Staying with theme of Transport and Buses in particular What is special about this Photograph.